Wow factor – it’s what everyone wants. We’ll make sure you raise the roof, knock the socks off and hit the bulls eye with the acts you book. 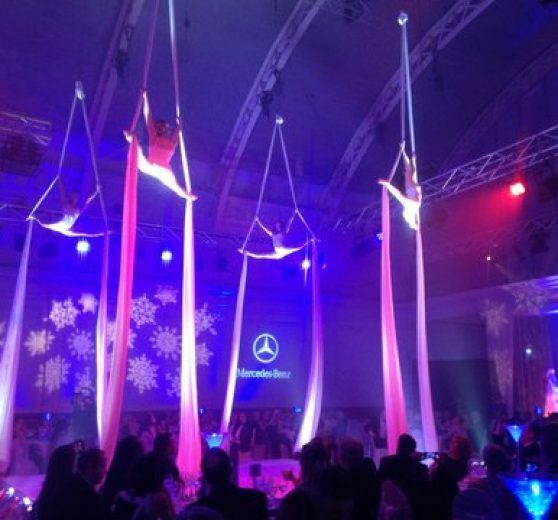 Whether cutting edge and contemporary like our 3d projection circus show or traditional like our world class Japanese drummers, unusual like our laser harp or simply having a top notch celebrity on your stage. Whether visual, aural, musical, animal or mineral we are here and at the ready with the most amazing mind blowing acts that can not fail to dazzle or draw a sharp intake of breath followed by rapturous applause! The LEGO event was a great success and the entertainment on Thursday night was definitely a highlight for the group. Both the Glow Team and DJ were really lovely to work with and a huge hit with LEGO, so please do extend a big thank you to both acts. Working with Joogleberry has been fantastic – you have recommended two great acts for our client and been great to communicate with on all levels, so thank you very much. I will be sure to be in touch the next time we get an entertainment brief in and to recommend you to my wider events team here at Momentum. Truly entertaining acts, Thank you!